Summer is prime firework season, not just on the Fourth of July but also at many other parades and celebrations that occur over the course of the warmer months. While fireworks can be a lot of fun for everyone, they can also be very dangerous. Recently, OSHA attempted to address some of the risks of fireworks by urging increased safety awareness. OSHA’s hope is to prevent injuries among fireworks and pyrotechnics industry workers by drawing attention to safety issues. Our Boston work accident lawyers know how important it is for workers in these industries to be protected through proper training and through employers following all workplace safety guidelines. Employers are urged to take note of OSHA recommendations and employees need to be aware of their rights to workers’ compensation benefits in the event that a fireworks injury occurs. OSHA’s safety release urging caution in the fireworks and pyrotechnics industry follows a serious accident that occurred last year. In March of 2012, OSHA reported that three workers were badly burned by an explosion at Global Pyrotechnic Solutions, Inc. The explosion was caused by safety violations that resulted in the workers being exposed to explosive hazards and OSHA fined the employer almost $117,000 for the safety issues. Of course, this accident was not the only one to occur in the fireworks industry, since this field of work is inherently dangerous. Workers are at risk of burn injuries; vision and hearing loss; amputation and a host of other injuries. When working with explosive material such as fireworks, there is also a chance that a worker could be killed while doing his job. Yet, despite the clear and present risks of working with fireworks, employers are still responsible if a worker gets hurt or loses his life while performing pyrotechnics work. Workers’ comp benefits must be made available through an employer’s workers’ comp insurer, even if the employer isn’t negligent and doesn’t violate safety rules in a way that leads to the fireworks injury. This is because workers’ comp is a strict liability system and workers’ comp insurance pays out any time a worker gets hurt in the line of duty. To protect workers and avoid having to pay out workers’ comp claims, employers are urged to take note of all OSHA pyrotechnics directives and industry-wide safety guidelines. There are many different regulations and policies published by OSHA and governing different employers within the fireworks industry, including those who handle the manufacture, storage, sale, use or display of pyrotechnic. These different directives can be found in a PDF file http://www.osha.gov/OshDoc/Directive_pdf/CPL_02-01-053.pdf. 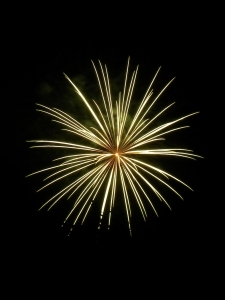 * published by OSHA that discusses safety issues in the fireworks industry. By taking responsibility and creating a safe environment, employers can hopefully help workers to get through the fireworks season without injury or death. Preventing On-The-Job Heat Injuries This Summer, Massachusetts Workers Compensation Lawyers Blog, June 30, 2013.